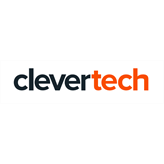 Clevertech is looking for a Blockchain Engineer to join our global team. We are looking for an experienced and passionate engineer, experienced with blockchain technologies including Multichain and Quorum/Ethereum. Ideally, you are a Solidity pro, and our mainstay technologies include React, Node, PostgreSQL‎ and Kubernetes. Experience in one or all is definitely a major plus. This role will be responsible for shipping blockchain solutions for our global client base, and partnering directly with senior business teams to solve real world challenges utilizing cryptotechnology. You understand the fundamental values of enterprise blockchain, and also understand where the blockchain is not a value-add tool. In this role you will have significant responsibility in one of our project development teams to ensure client satisfaction by executing on the deliverable. Clevertech looks for craftsmen developers who take ownership of their code. You can deliver quickly while being clever to avoid missteps. You have an effective positive attitude that shines as you show your care about client and colleague concerns. You are always learning and are a transparent communicator even when it is challenging. You thrive on challenging yourself daily and seek to surround yourself with like minded individuals. * Ability to learn and use a wide array of open-source technologies and tools. * Intimate experience with writing highly secure software on at least one smart contract platform. * Strong knowledge of fundamental blockchain technology. * Technical knowledge of at least one public or private blockchain system. * Strong understanding of security principles and networking. * Ability to work on large multi-team projects with a high level of independence. * Technically, you have an excellent background in data structures, design patterns, and modern programming practices with more than 5 years experience. * Fluent in English with excellent written and verbal communication skills. We believe in learning and provide unique programs that improve your tech skills, leadership skills and even challenge you in personal development. CleverFridays, guest speakers, mentor-ship opportunities and in-depth industry exposure are all on offer here.